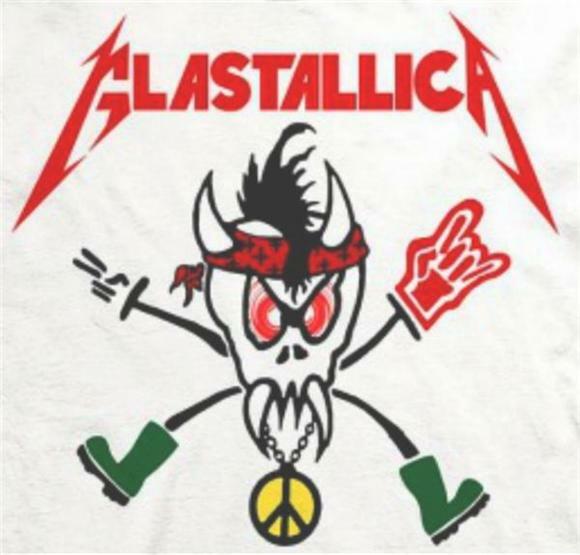 Humorously re-branding themselves as "Glastallica", American metal band Metallica rose two monstrous middle fingers at every outraged soul that tried and failed to ban them from playing at this weekend's Glastonbury Festival. 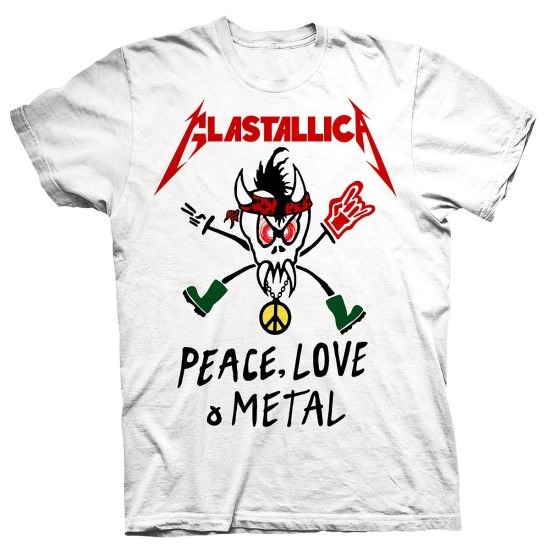 If you hadn't already known from his chilling (sarcasm intended) narration of History Channel's series The Hunt, Metallica front man, James Hetfield, is a large supporter of hunting, which apparently is incompatible to the strict ethos of the weekend long drug-fueled UK music festival. So much so that a petition was established on Facebook, which 17,000+ fans digitally signed, that begged the festival owners to remove the band from its lineup. 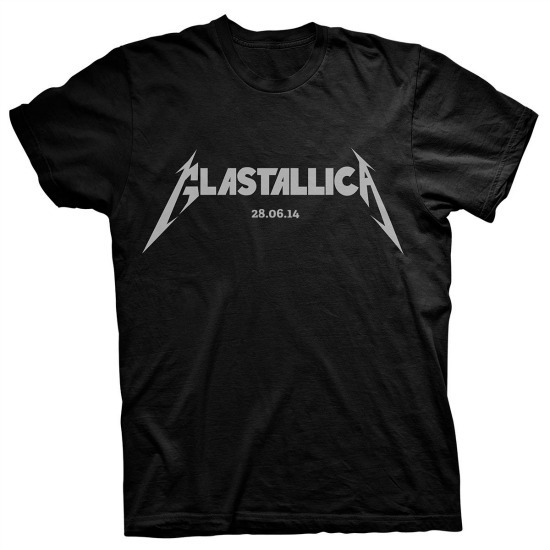 And because Metallica couldn't give any less fucks, they decided not only to play the show, but also to sell t-shirts containing some of the finest insults they received for being such animal hater jerks! But the fun didn't stop there: whether it was a collectively planned troll or just another classic moment where Jack White proves he's still as awesome as we think he is, the vinyl hero covered Metallica's "Enter the Sandman" for all the fuming fans who wouldn't accept the band into the "hippy nucleus" that lies stable in the center of the Glastonbury fields. Not only does this prove that Mr. White can literally do whatever he wants, but also it solidified that even after all of these years have passed, James Hetfield is still the master of all you petty puppets.